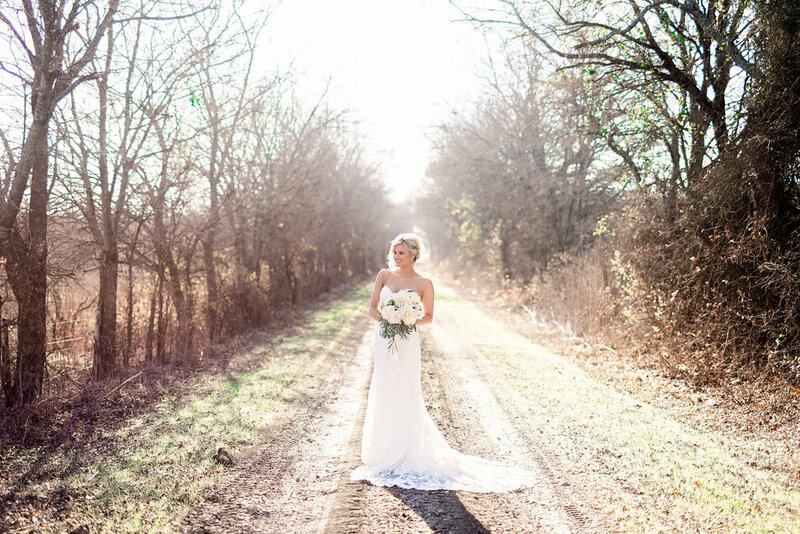 Captured in a barnyard setting, Kailee was able to score a southern classic vibe. She looked stunning in her lace, sweetheart wedding gown. Although the day was full of sunshine and warmth, her smile and beauty radiated even stronger. 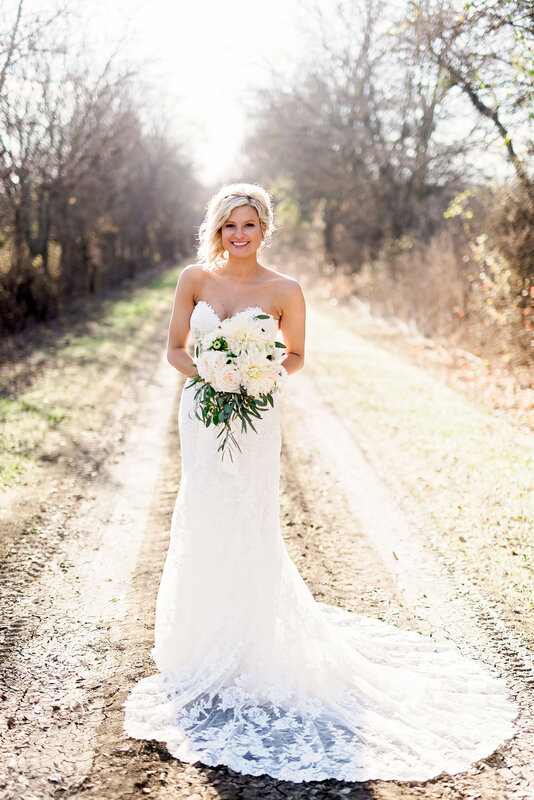 Her smile and laughter was accompanied by her white bouquet and headband with white tulle. 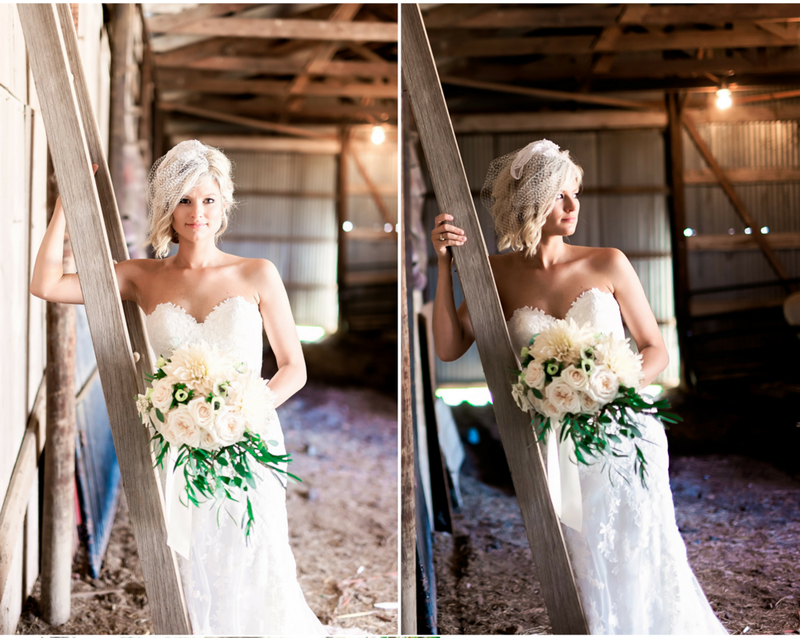 She used every part of the barn for creative shots. The indoor shots captured a rustic feel with the wooden shed that brilliantly filling the backdrop. She looked equally as gorgeous in the outdoor setting with barnrolls and farm animals adding to the detail of her background. The homestead added an element of comfort and class.